﻿Franchise As a Side Hustle? Franchise As a Side Hustle? There are numerous reasons you may choose to invest in a franchise as a side hustle. The good thing is that you can maintain your full-time job while still earning passive cash from the franchise. If you are looking for a way to have more money added to your income, then you should think about the franchise. Also, if you plan to retire or leave your job to explore a lucrative business opportunity, a franchise could be the best way to go. The side hustle will sustain you while you plan to leave the job, and you can build it until you are ready to make the transition. Who wouldn’t like to be their own boss anyway? In this part, you will get to know how you can start and run a franchise while you still maintain your nine to five job. Here are some tips for you! Which is your passion? Your interests will almost always lead you to a job that you love. Inasmuch as you want to make money, it is important that you pursue a business that you love. This will make you happy and motivated to succeed. Again, it is crucial to find a franchise that fits well into your life. Consider all your family, career and social commitments when making this decision. Remember, some franchises may require your full attention and this could stress some important aspects of your life. So, strike the balance between your lifestyle and the franchise. Of course, after you have chosen the right franchise, it is time to apply, pay the fees and open for business. 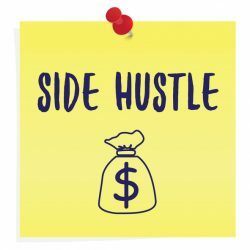 Deciding to have a side hustle means you are going to commit your time to the business. It also means that you will no longer have time for some things. Thus, you should have a tight schedule that helps you manage time. This will help you stay committed to professional job and at the same time for the business. In the schedule, ensure that the important things come first. Dwell on the priorities. The timetable should be manageable enough to allocate time for every activity you need in a day. You need to have a separate working space for the new hustle. You shouldn’t let one job to be a setback to the other. Remember, if you try taking two jobs at the same place, you are likely to lose focus on one (or both). You could run the side hustle from home or a separate office. Having it at a different location will help you to focus and keep your priorities. Plus, a separate office makes your clients trust you. An office also means that you are serious about it and you could even plan to expand it at some time. If you find the side hustle too overwhelming, it is time to hire someone to help you. It could be a virtual assistant or a person to stay at your office. Let the assistant handle the emails, online platforms, and manage your accounting books. If the franchise is about selling food, then you will definitely need assistance. Fortunately, most franchise brands often offer training to the staff members. The overall idea of seeking assistance is to free up more time for you. This will make you more productive. If you are not actually in the business premises, you’ll need to monitor it. Hire local CCTV providers to guide you through this. Be sure to get the services that allow live footage streaming onto your laptop. It is important to do this as you can track your franchise while in your office or at home. Billing is usually the hardest thing in running side hustles. Sometimes, it is a result of incompetent employees or a huge number of clients. So, you should have a billing system that is error-proof to ensure that you don’t incur unnecessary losses. In most cases, the franchisor provides in-house tools that guide the billing process. Running a franchise as a side hustle can be stressful. But, with planning and standard measures in place, you will reap great benefits. Be ready to work hard and have strict schedules. The secret to the success of a franchise is good time management, ensuring you are in good books with the franchise brand and hiring professionals.